Won’t you join me too on my Facebook Page for wynnegraceappears. We can discuss this life of Grace and share inspirations we both discover on this path. The one right there marked at the end of your ten piggies. 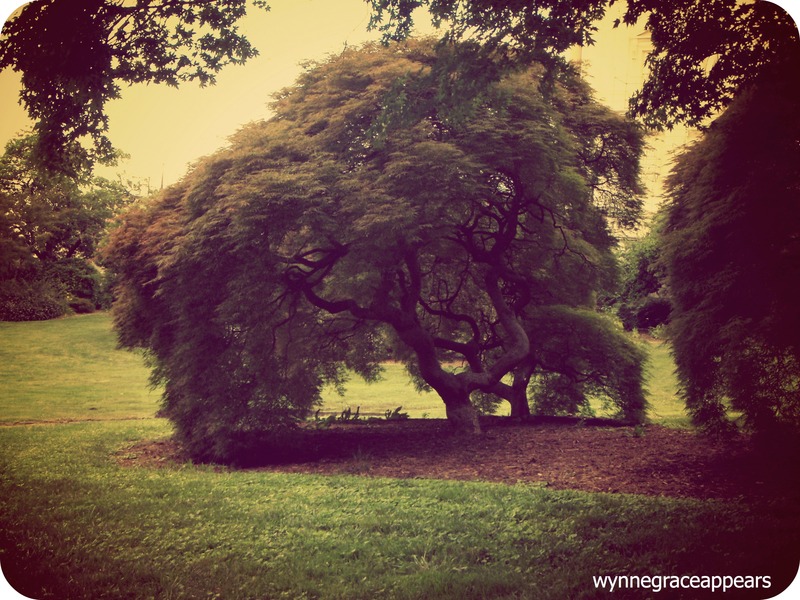 …..wishing His grace, wynnegraceappears. And I am over there on the wings of Twitter @graceappears. We can connect there too. It would be so lovely. I used to think the one ahead was the more important one. But now I think more and more it is the one behind me. The one that takes bends and curves, to the right, dips and sways like the hand of the Peach Queen in the fourth of July parade deep down South. The one that tells the rich story, thick layers like tree bark rough. Its the one she sees when she turns and looks back over her shoulder, and casts her glance to look at the what before. The girl with the life of over a half century. The girl who is a woman and mother of children. She looks down at the dark rich soil, wet with tears, the ones of laughter and of the pain. She digs her toes in, digs her heels in, digs her heart in and writes words of Hope in the path of rich dark soil. And knows this is the one. Rich in life’s story, the one behind. The path that shapes the one ahead. The one that feeds like a stream into the one for tomorrow. The path that lead to this day, this point, is the one with step by step footprints that tell loud and clear of the Life of the girl. The woman. No sweeping off or dusting off the path. But looking steely-eyed ahead at the one marked with Hope and Joy. And take all the bends and turns, twists and turns with Hope. What beautiful words you have woven together! Thank you for sharing such beauty on this lovely morning! Just stopping by from thegypsymama’s link up! I am excited to follow your writing. Thank you for sharing. God bless! Humble thanks. The Lord must have sent you to me today because my eyes are misting as I read your comment. I hope I can find you there to tell you how much your kindness meant to me today. Thank you. And wow, what a gift that you are excited to follow my writing. It will be a privilege to have you here on these pages. beautifully written! love how you wove it together, the view of perspective. Thank you for your very kind words. I am grateful. Humble gratitude here. And please come visit any time. You are always welcome here. love it… we have a path that lead us ahead or we leave a path behind… hopefully both are positive. Oh yes, we have the both. God’s blessings and love are on both the behind and the ahead. Thank you for being here. And thank you for saying “love it” These are words which humbly honor me. I am grateful. wishing you a path of joy. Humble thanks. Your kind words are a gift to me today. And I am grateful. Thank you for visiting here. Had to come over and see what was going on here. 🙂 I LOVE what you’ve written! You have a great talent with words. You go, girl! Oh my, humbled. Thanks for coming over. Please come back.I am grateful for your kind words and I will look forward to seeing you around again… Maybe at Lisa Jo’s. Peace be with you girl. Thanks for your encouragement. I so agree with you. It is the past that has shaped us and turned us to hope. I guess, for some, the past is best forgotten but for me the past gives me hope for tomorrow. So I keep following the path ahead of me. Thank you for visiting here and even better for commenting. Yes, yes!! Both paths. I am grateful for your ecouragement and your taking the time to comment. This was a good prompt today from Lisa-Jo and really got a lot of women thinking. I look forward to next Fridays prompt to seeing how we respond and how we write out our thoughts. Again, I am humbled that you are here and that you spent a little of your day here reading and then, writing. Blessings…. Thank you DADDY, you are so kind to read, to comment, and to encourage and inspire. Grateful here…. Knowing you are reading blesses me.